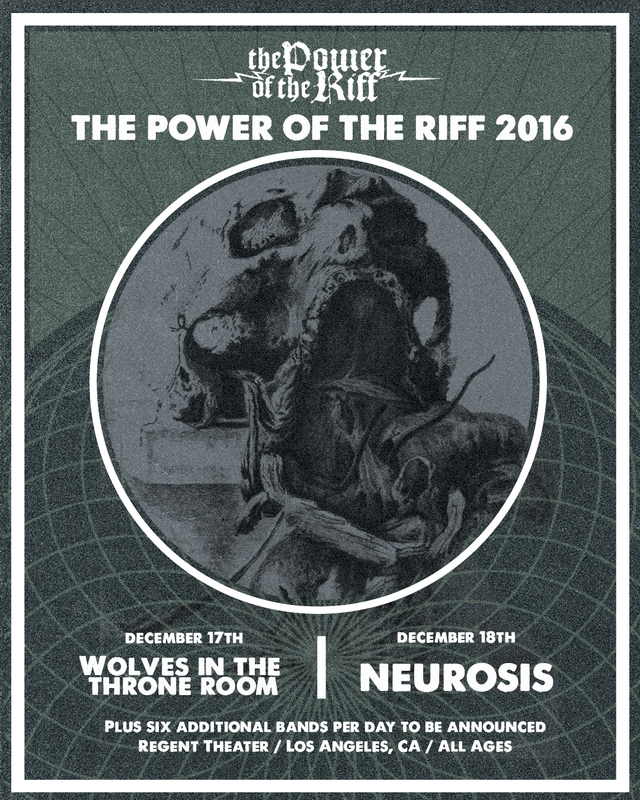 The organizers of THE POWER OF THE RIFF in conjunction with Southern Lord this week announce a two-day festival event to take place in Los Angeles this December, featuring headliners Neurosis and Wolves In The Throne Room. THE POWER OF THE RIFF 2016 is confirmed to take place on Saturday, December 17th and Sunday, December 18th at LA’s Regent Theatre. The first night’s event will feature Wolves In The Throne Room as the main headliner, with an additional six bands to be confirmed for the evening. The mighty Neurosis will headline the second day of the gathering, with six more acts to be added to that show as well. Neither of these massive acts have performed in LA for years, making this a very special event. The additional twelve acts filling out the lineup of the festival will be announced over the next several weeks, alongside ticket links and many other details for the event. Stand by for more info on THE POWER OF THE RIFF 2016 to be announced in the near future.